There is no magic to Landscapes Unlimited's tremendous growth in the golf course construction industry. 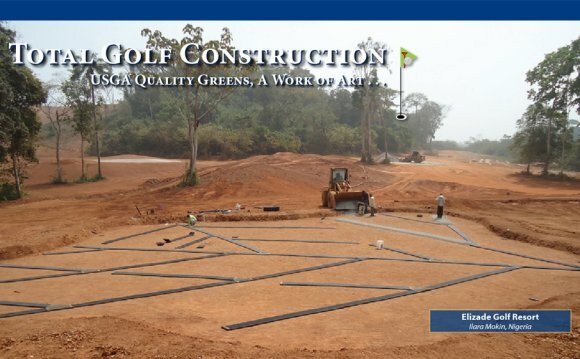 The simple fact is we have handled virtually every type of golf development project. Whatever the project size, we provide demonstrated experience, professionalism and an intense focus on the objectives of the project team at every stage. As one of the country's few fully integrated golf construction and development companies, Landscapes Unlimited is positioned to assume sole responsibility for every aspect of new course construction and renovation/restoration projects. LU has constructed projects ranging from several thousand dollars to in excess of $50 million. No matter the location or size of the project, we have the resources and personnel to complete the scope on time, within budget and above all else, to a level of quality that exceeds expectations. The projects that we are awarded each year are testimony to our credo that the true reward for a job well done is the opportunity to apply those skills and services again and again. Today’s Golfer expects to play his/her round on a healthy and challenging field of play. In order to meet these expectations and to stay competitive, existing golf courses must invest in restoring new life to their course. Our resume provides Architects and Owners with the confidence to place the future of their golf course in the hands of a well-respected and reliable renovation contractor. Projects involving revitalization and protection of our natural resources are particularly sought after by Landscapes Unlimited. Incorporating design components and construction practices that promote environmental sensitivity, sustainability and stewardship was our practice long before it was en vogue. With LEED accredited professionals on staff, we are well prepared to deliver environmental projects of varied scale and scope. Somerby Golf Club is a private golf club and community on the north side of Byron, Minnesota. The course was designed by architect and golf pro John Fought, and by golf pro Tom Lehman.